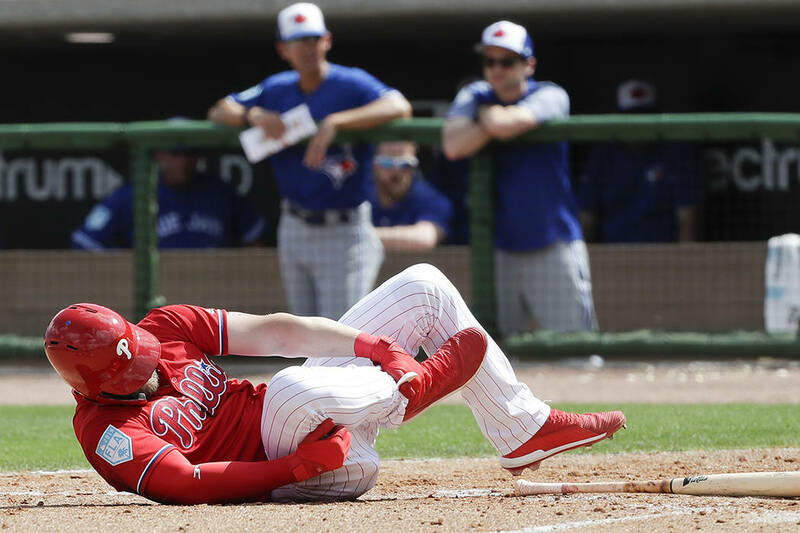 Bryce Harper was back in the Philadelphia Phillies’ lineup as the designated hitter Sunday, two days after taking a 96-mph pitch on the right ankle. 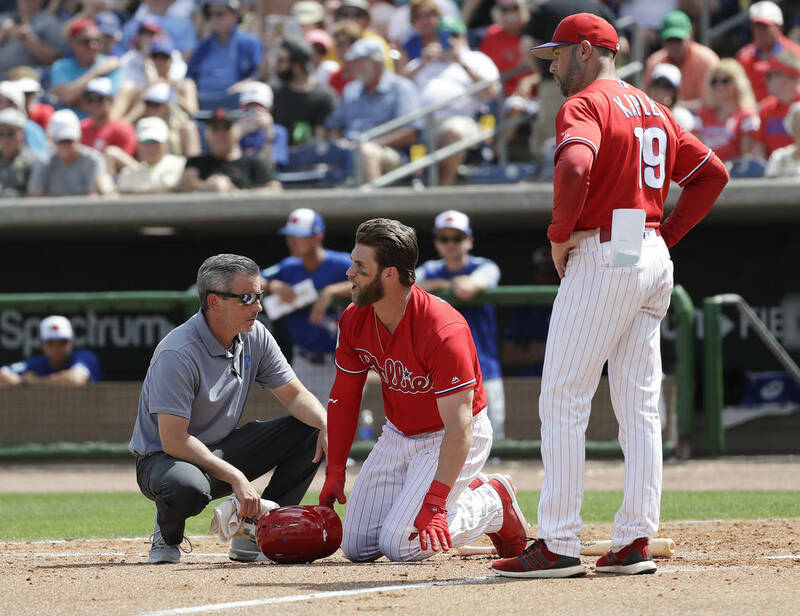 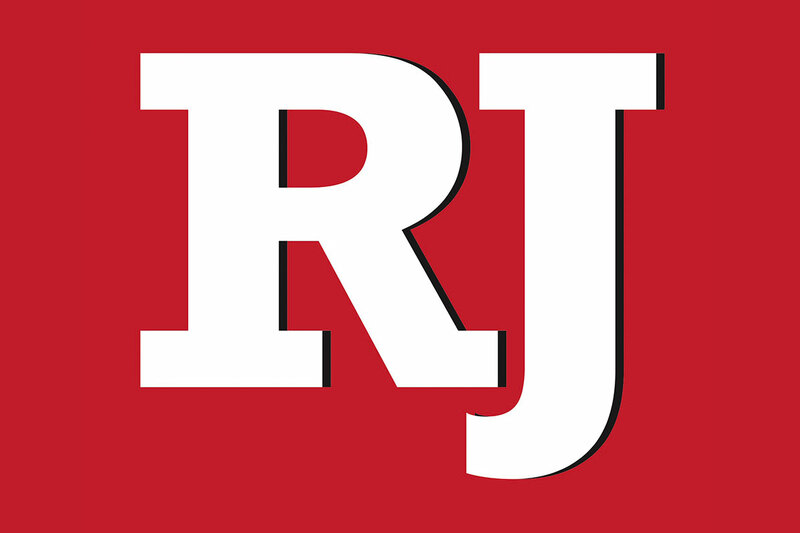 CLEARWATER, Fla. — Bryce Harper was back in the Philadelphia Phillies’ lineup as the designated hitter Sunday, two days after taking a 96-mph pitch on the right ankle. 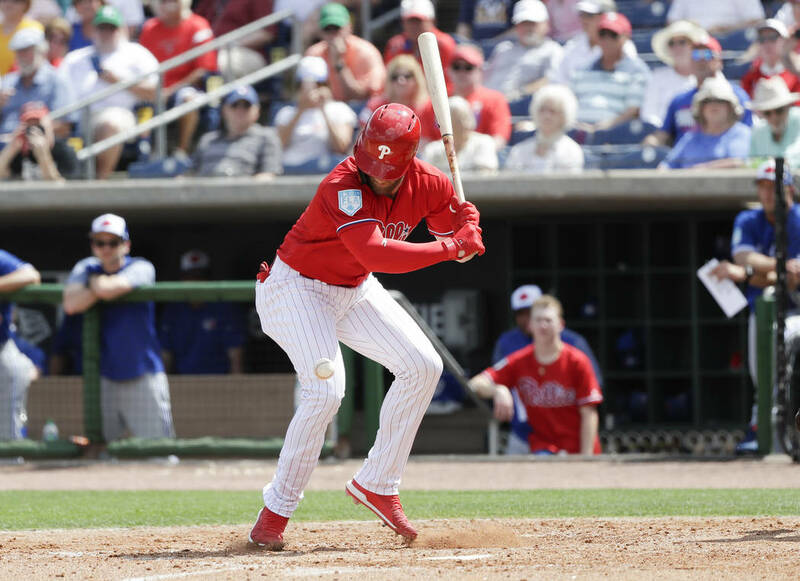 The Las Vegan was hitting third against a New York Yankees split squad.